German Chancellor Angela Merkel won't change her political strategy on refugees, German media reported. According to Merkel, she admitted some of her mistakes and will focus her future efforts on the elimination of the causes of the migration crisis. 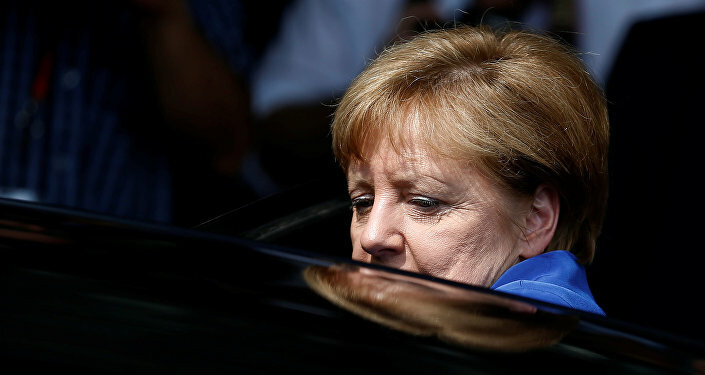 However, any fundamental change of of the refugee policy is not necessary, she told German media. "I don't see any change of course, but a sustainable work for many, many months," the country's leader said in an interview with Sueddeutsche Zeitung. "I have not changed my policy […] I've always wanted to improve the EU's external border protection, fight the causes of migration and reduce the number of refugees." Merkel has been repeatedly criticized for her open-door policy toward refugees. In 2015, Germany alone hosted over one million migrants, raising concerns among the local population. The German Chancellor's popularity rapidly decreased amid the growing influx of migrants. In the regional election last month, Angela Merkel's CDU party came in third place with 19 percent, overtaken by the populist right-wing Alternative for Germany (AfD) party, which won 20.8 percent of the vote. Nevertheless, in an interview with German newspaper Die Zeit, the Chancellor once again stressed that the crisis can be solved only with involvement of all European countries. "I do not believe that we can make this problem disappear through maximum ignorance, distance and disunity. I am a realist, and that is a reality," she said. The Chancellor also once again expressed her criticism of the closure of the Balkan route, which took place in March following Austria's decision to limit the number of migrants crossing its border, which led to many Balkan states following suit and introducing their own temporary border controls. "If you ask me whether the closure of the Balkan route has solved the problem, I'd say clearly ‘no'," Merkel said. Europe and, in particular, Germany has been struggling to find a solution to the massive refugee crisis, with hundreds of thousands of refugees fleeing conflict-torn countries in the Middle East and North Africa in order to reach stable and wealthy European countries. Frontex detected over 1.83 million illegal border crossings in 2015, in contrast to some 283,000 in 2014.